Tommy Amaker played in two games at then-newly constructed Dean Smith Center in his illustrious collegiate career at Duke. When the Dean Smith Center first opened its doors halfway into the 1985-1986 season, Tommy Amaker was in his junior year for Coach Mike Krzyzewski’s Blue Devils. The trusted starting point guard was spearheading a top-ranked Duke side alongside the likes of Jay Bilas, Johnny Dawkins, and Danny Ferry as they traversed Tobacco Road in the middle of January to face arch nemesis North Carolina. Not only was it befitting that then No.1 Tar Heels christened its new home with a heated contest against its biggest adversaries. More so, the game itself epitomized a classic Duke-UNC dogfight. An experienced, methodical Duke side held strong against the talented host squad led by future No. 1 pick Brad Daugherty and sharpshooter Kenny “The Jet” Smith, but Amaker’s late six points was not enough to pull off a Blue Devil comeback in the foul-heavy game. Amaker had one more chance to avenge the 95-92 defeat his senior year at Dean Smith, but that game was one largely to forget for the future Duke assistant, as he converted on just one basket in 13 minutes of play in another loss. Fast forward over 20 years later and it would be no understatement to say that there will still be a tingling of enmity, diluted perhaps by his frequent trips back to Chapel Hill as a 10-year right hand man for Coach K in the nineties, when coach Amaker returns back to now-Roy Williams Court on Wednesday. *Small fun update: Amaker made sure his team did not leave North Carolina without a trip back to Durham, as the team practiced at Duke on Monday and spoke briefly with Coach K. This was a return of a favor of sorts, as the Blue Devils used Lavietes Pavilion as a practice site when visiting Boston College this past year. This will be the Crimson’s first game in Chapel Hill, but the Tar Heels themselves are not foreign foes. Harvard supporters may remember the nail-biting finish in the 2015 NCAA Tournament, when the Crimson was narrowly edged by a single possession against No. 4 seed UNC. A late-game triple by then-junior Siyani Chambers gave Harvard a one-point lead heading into the final minute, but it was then-freshman Justin Jackson who would ensuingly crush Harvard’s dream of an upset. The future Sacramento King sunk a critical jumper and finished a breakaway layup as the Tar Heels narrowly snuck by a talented Crimson team. 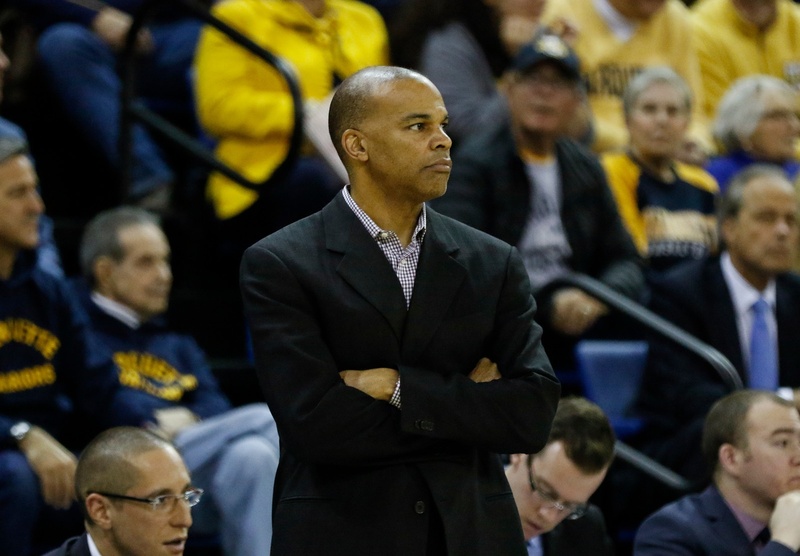 A brief journey down memory lane aside, coach Amaker is still ultimately in North Carolina as the leader of the 2018-2019 rendition of the Crimson. Harvard is less than two weeks away from the start of the Ancient Eight season with its annual Dartmouth kickoff series, and this keystone contest will be a telling barometer after an up-and-down first half of the season. Of the Crimson’s six wins in non-conference play, its 74-68 victory over Saint Mary’s — a team consistently in the top 50 on KenPom — is its commanding “marquee” victory. Without juniors Seth Towns and Bryce Aiken, who continues to be out indefinitely, coach Amaker has had to juggle a medley of lineups. Outside of junior wing Justin Bassey and big Chris Lewis, it may be surprising to onlookers that even heading into the UNC game the rest of the starting lineup is still not locked up. 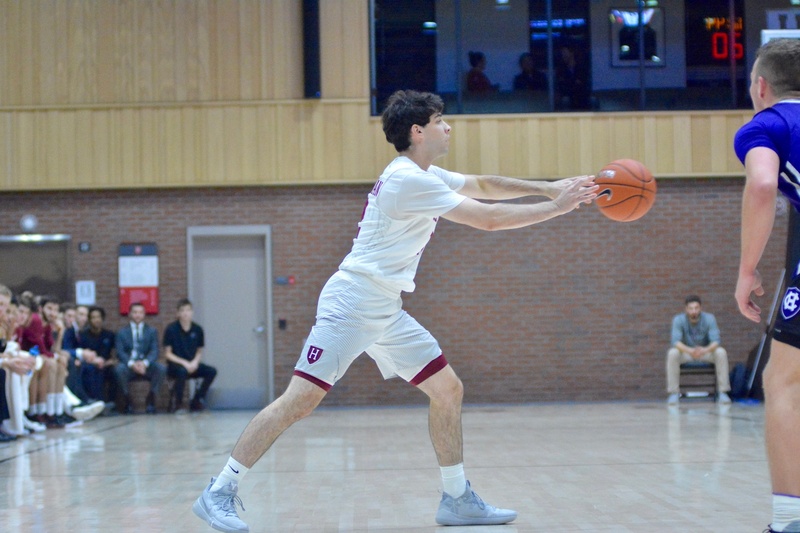 Three-time Ivy League Rookie of the Week Noah Kirkwood has played an important role as Amaker’s Sixth Man, tying Bassey as the team’s second leading scorer with 10.5 PPG. In Saturday’s win over Mercer, the Northfield Mount Hermon product scored 19 points, one shy of a 20 point outing against George Washington. Freshman guard Spencer Freedman and junior big Henry Welsh have made appearances in Amaker’s starting line-up, while first-year Mason Forbes has begun to carve out a role in the rotation.The team’s main area of concern? Turnovers, in which numerous 20-plus tallies have put the Crimson near the cellar of Division I basketball in this category. Point guard Spencer Freedman has been a dangerous weapon from three alongside his passing acuity. With Harvard on a small two-game win streak coming into this contest, it is about continued progression and consistency among a team still trying to mesh together. A potential upset, if one is to look at other Ancient Eight wins this seasons, is not out of the picture however. Princeton recently beat No.17 Arizona State (who had just defeated nation-leading Kansas), while Penn pulled off an upset over Villanova at the Palestra this past month as well. With UNC coming off winter break and playing its final prep game before the start of ACC play, this may very well be a game to steal for the Crimson. Like the inaugural contest at Dean Smith Center, Wednesday’s contest will unsurprisingly be in front of a sold-out crowd — even in the midst of winter break. And for the Crimson, this is another opportunity to play in front of a primetime national audience as the game will be broadcasted on ESPN2 on 7PM (this marks the fourth Ivy League game showcased on ESPN/ESPN2 this season). On the court, the Tar Heel side is led offensively by two seniors, Cameron Johnson and Luke Maye. The pair has combined for more than 30 PPG this season and averaging close to 50 percent from the field. Johnson is particularly dangerous from deep range, with a 0.484 mark this season, while recently knocking down 17 points in the team’s 82-60 win over Davidson. Maye, who leads the team in rebounding and minutes played, is an important distributor in Roy Williams’ offense. Like many past UNC rosters, the Tar Heels have imposing size in the frontcourt notably through sophomores Sterling Manley and Garrison Brooks. First year point guard Coby White, who has averaged 4.0 assists per game, and senior Kenny Williams, who converted two early triples against Davidson, round out the backcourt. Much touted freshman Nassir Little is a dangerous rim attacker off of Williams’ bench and is fourth in team scoring with 10.8 points per game. Harvard may need to rely on the defensive prowess of sophomore Rio Haskett to provide reinforcements for main wings Bassey and Kirkwood, despite limited in minutes in recent performances. UNC has had a particularly challenging non-conference slate with mixed results. Knocking off then-No.1 ranked Gonzaga on Dec. 15 as well two other West Coast sides, Stanford and UCLA, the Tar Heels fell 80-72 against Kentucky this past week alongside defeats to then-No.2 Michigan and Texas in November. This matchup will be of a completely different ilk compared to the 2015 meeting: the Crimson do not have a go-to star in the likes of a Wesley Saunders or Siyani Chambers, while the Tar Heels exude experience rather than youth and flashiness. With conference play looming in the distance, this will be a final test of preparedness for both teams much in need of establishing consistency in their resumes.